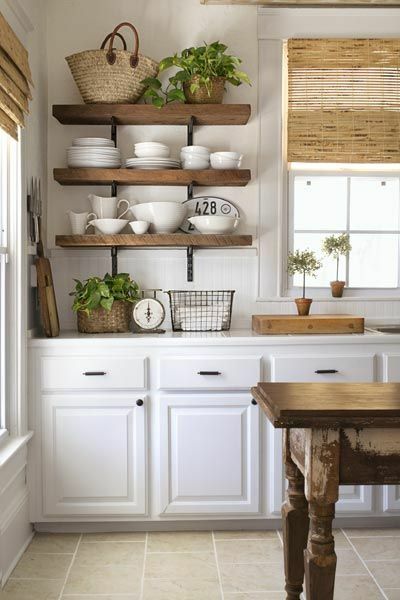 Open shelving in the kitchen can be a nice touch. But there’s always the concern that they are more fuss than they’re worth. It’s fun to stage them initially and create a bit of eye candy. But since you’re dealing with items you use every day, likes dishes and food, won’t it be a hassle to maintain the initial arrangement when you’re constantly messing with it all – getting one thing or another down from the shelf? You can put such concerns out of your mind. Once you’ve staged the shelves to your satisfaction, you won’t have to re-do them and they won’t become cluttered. 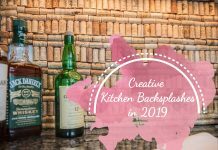 You can go about your business, grabbing stuff from here and there, and the visual aesthetic you established for your shelf will be uninterrupted. Simply implement a few measures during your initial staging and it will require minimal rearrangement thereafter. First, gather all like-things together. It’s a basic routine, stylistic and practical. Put cups, stacks of bowls and plates in groups onto their own respective shelves. If you don’t have enough of each to fill a shelf combine them on a single one but keep them to their own stacks. Put baking supplies in nice containers also onto their own shelf. Use discretion. Limit the items on the open shelves to those that are attractive to your eye. 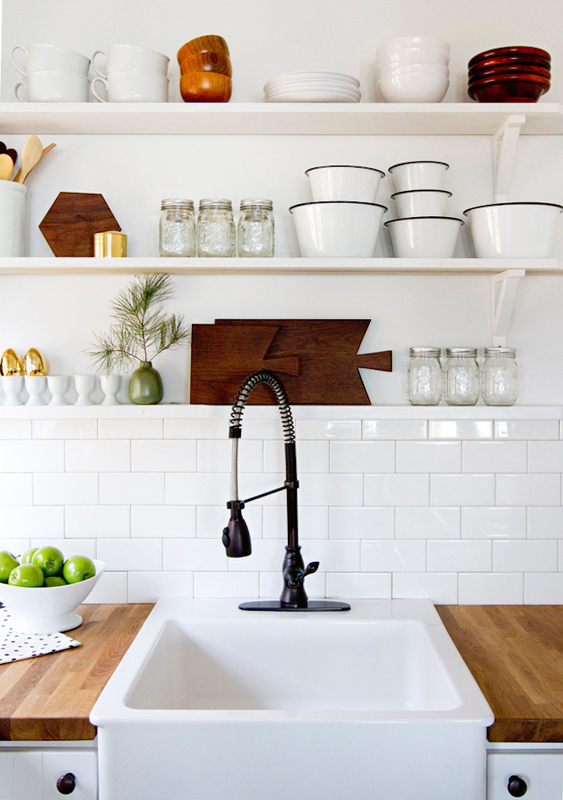 Naturally a collection of all-white dishes is going to appear more orderly than cluttered. They don’t have to be stacked perfectly for the effect, a naturally piled assemblage is just fine. You don’t need to fret over them. It’s the act of individual grouping – dinner plates, dessert plates, bowls, serving dishes and mugs – that is important. If you’re just starting out, building an army of dishes can be fun. Seeking good deals can be addictive – in a good way. You’ll pay about a buck each for white dishes at thrift stores, up to only three dollars each at department stores. Look for unique styles, anything that appeals to you and stands out. If you choose to buy all in one-color, that will help establish a certain theme in the kitchen while appearing organized at the same time. 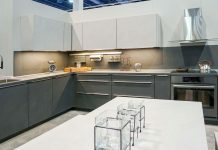 Even if your dishes are of a variety of colors, as long as you coordinate them in a way that makes sense to you, and they appear fine together, they should work well within a room that is also the product of your design. If you have a random piece or two that don’t fit visually within the scheme, simply put them elsewhere. Arrange your shelves one time only. Maybe attach inexpensive plates as decorative touches to the back wall with sticky tack (a plate stand might take up too much room) and pile your everyday dishes in front of them. Even when the dishes are in the dishwasher you still have the decorative plate accounting for the space. It always looks good. And as promised, dishes go out as you use them, and back in after they’ve been washed – no additional staging required. For the open shelves in the pantry, stock on a variety of baskets and containers for which to put your food. You may even label the storage vessels, “Cereal”, “Chips”, “Bread”… the uniformity is much more attractive than a mess of differently colored, designed and sized packages. Baskets in the kitchen pantry always look great, and are another item you can have fun bargain hunting for. If something in the pantry sticks out like a sore thumb, plop it out-of-sight in a basket or container and viola problem solved. When it comes to food or houseware pantry items, use the open shelves to store things that already appear neat, such as baking pans. Store your flour, sugar, snacks, etc… in nice jars and put miscellaneous small items in baskets. Among other wares that already appear “neat’ and will look great displayed on open shelves are metal and glass baking tins, jars and baskets of wicker or wire. Fill the baskets or jars with items that are typically grabbed at the same time. For instance, you could have a basket dedicated to snacks. Or a baking basket could contain cooking oil. vanilla, baking powder and chocolate chips. Everything is together for easy use. Make a basket per whatever endeavor you plan. 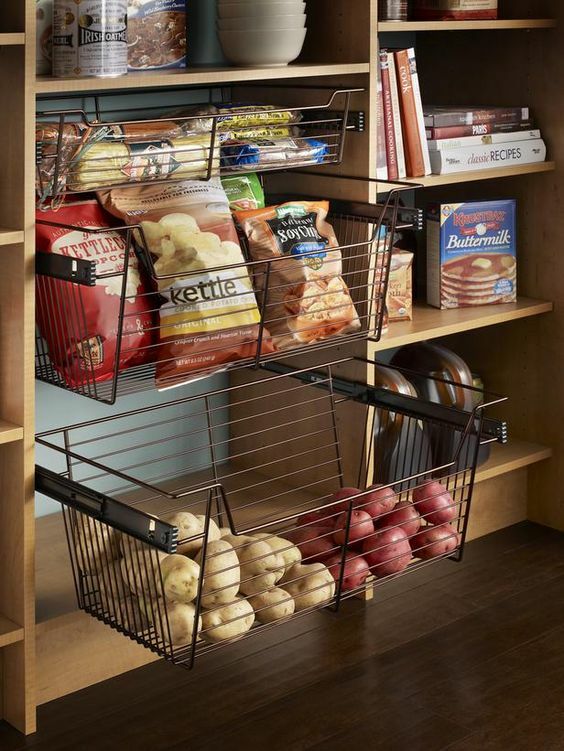 This will help eliminate rifling through the pantry and other baskets looking for that missing product. With everything grouped according to use, you minimize confusion. 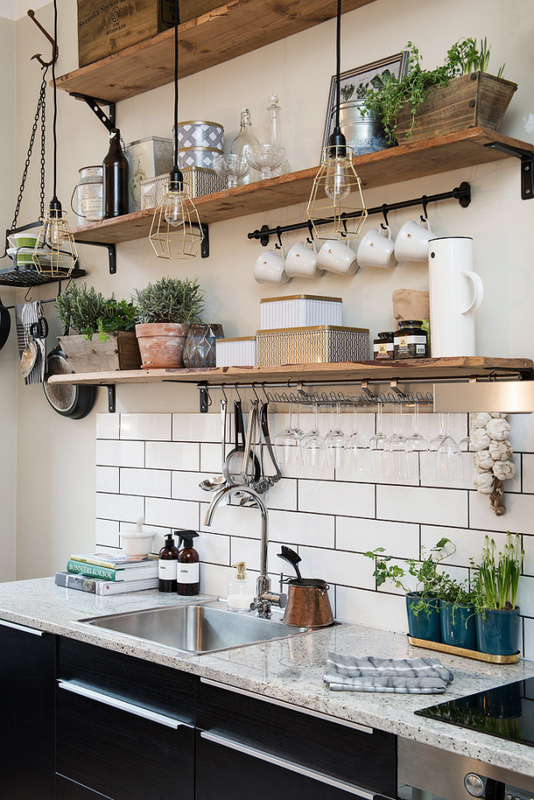 Now, if you live in a kitchen so small that it prohibits an attractive open shelf display due to an overabundance of stuff, put the excessive items you hardly use in a closet or under the bed. 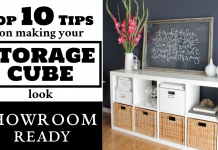 Larger items can go in the garage or basement. This will enable you to reserve your cabinet space for the necessities while having them attractively displayed. 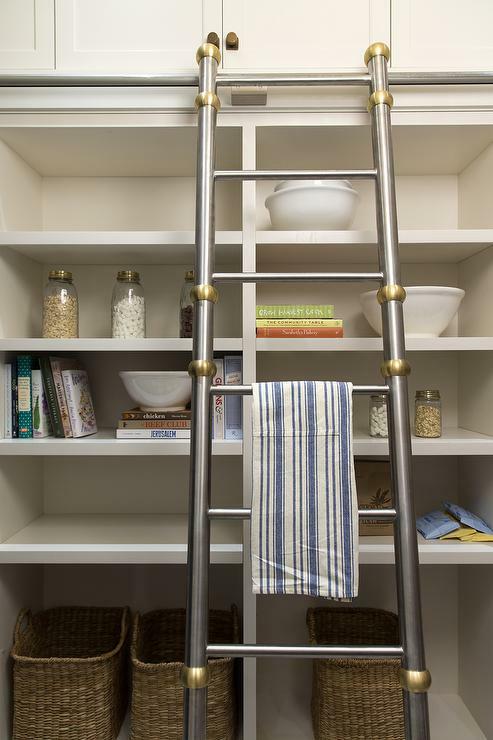 Hopefully these tips are helpful to you in realizing the possibilities of your shelving options. 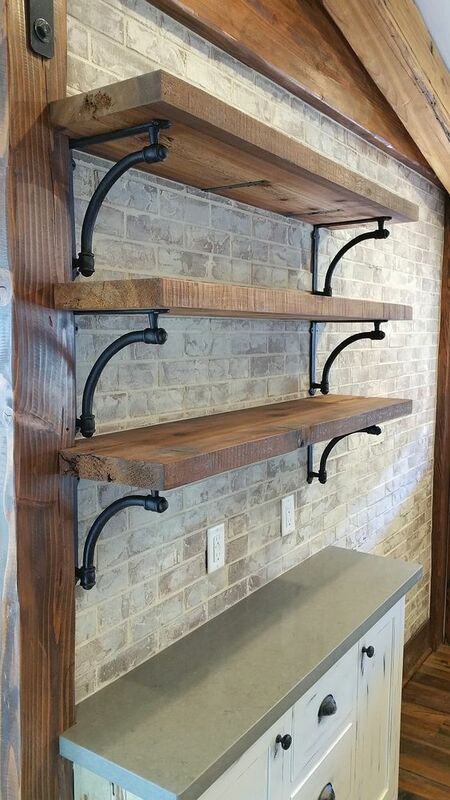 Open shelves can look sweet, and when done right they make life a little easier by being virtually self-sufficient!